These might be the quickest blocks I've ever done. Ever. It was so gratifying. The blocks in this BOM have all been pretty straight forward, but some have taken longer than others! 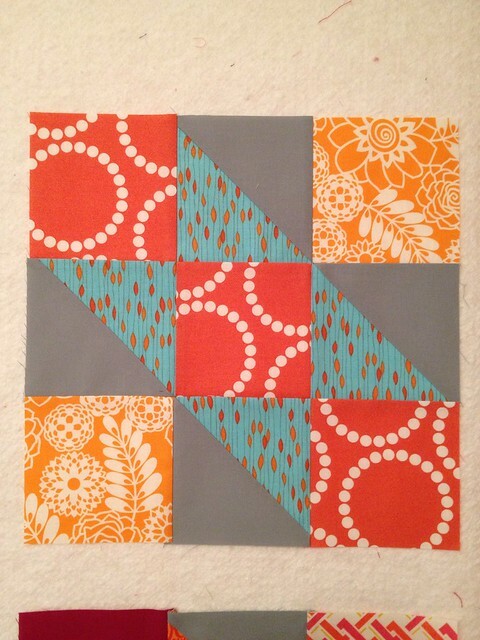 I put a little bit of blue into this block, to reference a fabric I used in January. Those blocks are stunning! I rather like the orange and maroon together. 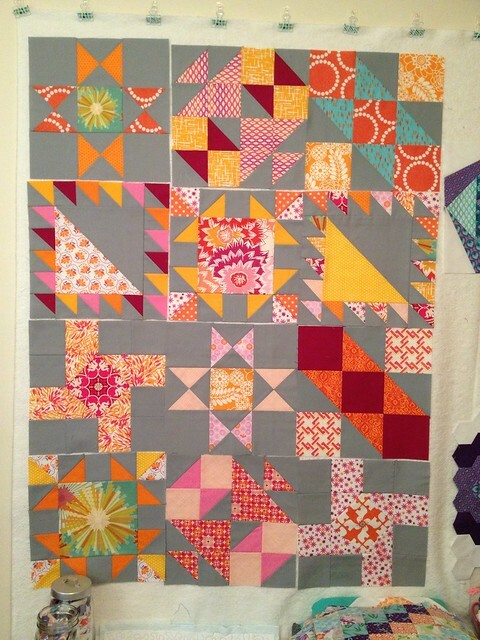 These blocks are absolutely gorgeous together!! And your V Tech block fits right in there very nicely. These are looking awesome, I'm a VA girl...go hokies! Actually I went to VCU:) Loving all these colors. Hey I went to vcu too, for my second degree! I'm also starting back up there in the fall for grad school... I'm a glutton for punishment! Gorgeous colour combination! So fresh and vibrant! Your quilt looks great! Love the colors! Um, WOW. 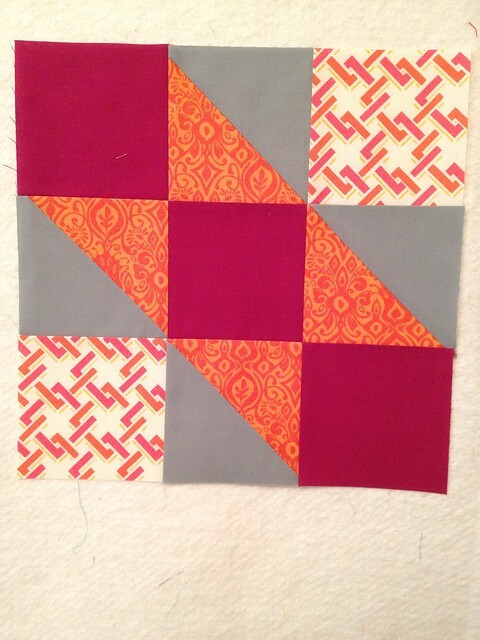 If I'd known this is how the Sisters 10 blocks would end up looking...(must not start another project.) I love that you chose a grey background, your warm brights really sing out against it. Thanks! you should do it! It hasn't been too time intensive, and I'm loving the results!